God sent His Only Son, Jesus Christ, to provide a way (only one way) for mankind to live forever (John 3:16). Prior to this “spiritual construction project” after the fall of Adam mankind was naturally subject to both spiritual and physical death because of the wages of sin. Once mankind died on this earth casting off his physical tent, he would be found spiritually dead in the eternal realm. Eternal consequences of sin: Sin=death and spiritual death= hell. 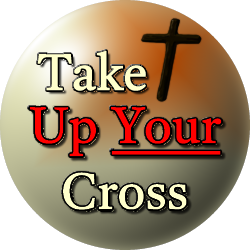 The willing death of Jesus Christ on the cross at Calvary paved this new blood forged pathway. It was made possible for any man to choose and to enjoy eternal fellowship with God through faith both now and forever in the eternal realm. New spiritual life=eternal life and fellowship with God forever. The presence of sin naturally meant death for mankind in this world and forever in the eternal realm. 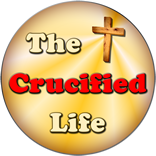 The substitutionary death of Jesus Christ with His precious shed blood on Calvary provided the spiritual pavement required for man to spiritually live forever; both on this earth and forever in eternity. I pray you can cross over into the eternal realm at the time of God’s choosing upon His new spiritual highway. It has been richly paved by the blood of Jesus Christ. Placing faith in the finished work of Calvary makes this crossing free and accessible for whosoever chooses to place their trust in Him.